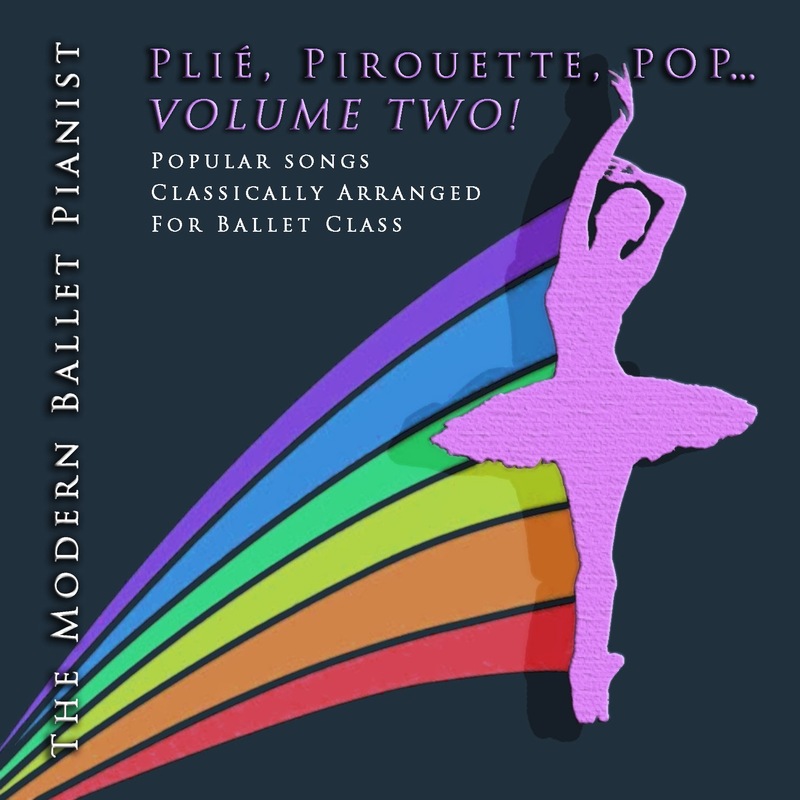 The Modern Ballet Pianist is a collective of skilled musicians who are dedicated to revolutionizing music for ballet technique class. We believe that ballet music should be the core of dancers’ movement, whether on stage or in the classroom. With our recognizable melodies arranged into traditional classical piano accompaniment, our pianists’ passionate and joyful playing is the closest thing to having a live musician in the room. Our pianists have played at top dance institutions worldwide, including American Ballet Theatre, Alvin Ailey Dance Company, School Of American Ballet, Mark Morris Dance Group, Joffrey Ballet, Stattsballet Berlin, Los Angeles Ballet, The Julliard School, NYU Tisch, Ballet Academy East, and more. How long have you been accompanying ballet classes? I started playing for ballet classes in 1999, when I became music director for The University of Oklahoma’s School of Dance. I moved to NYC a year later, and was hired by American Ballet Theatre, Alvin Ailey American Dance Theater, and The Mark Morris Dance Group, where I was a featured performer in their music ensemble. What is the process to become an accompanist? How does a musician learn to play for dance classes and get started? A good accompanist knows how to listen, above anything else. I had a lot of experience in listening to other performers when I was a vocal accompanist in college, and dance is really the same - but listening with your eyes. When researching for ballet class, it’s best to develop a repertoire that has great melodies with music that has a square number of measures, in phrases of 8. Then have a few pieces of music for each exercise, from Plie to Reverénce. Do you listen to other popular accompanists for inspiration? Is there a ballet pianist scene functioning both within and alongside the dance world? I listen to popular music, and I listen to the great concert pianists. There is a small scene of ballet accompanists throughout the US, but unfortunately there isn’t much of a budget to bring live accompanists into smaller schools. This is why I started The Modern Ballet Pianist - to give everyone the chance to have great music in their classrooms no matter their funding. You mention "revolutionizing music for ballet technique class." If I may be a little tongue in cheek here, why on earth does ballet class music need to be overturned? Over the years, I’ve found that most ballet music is antiquated and therefor incapable of holding the ear of its young students. 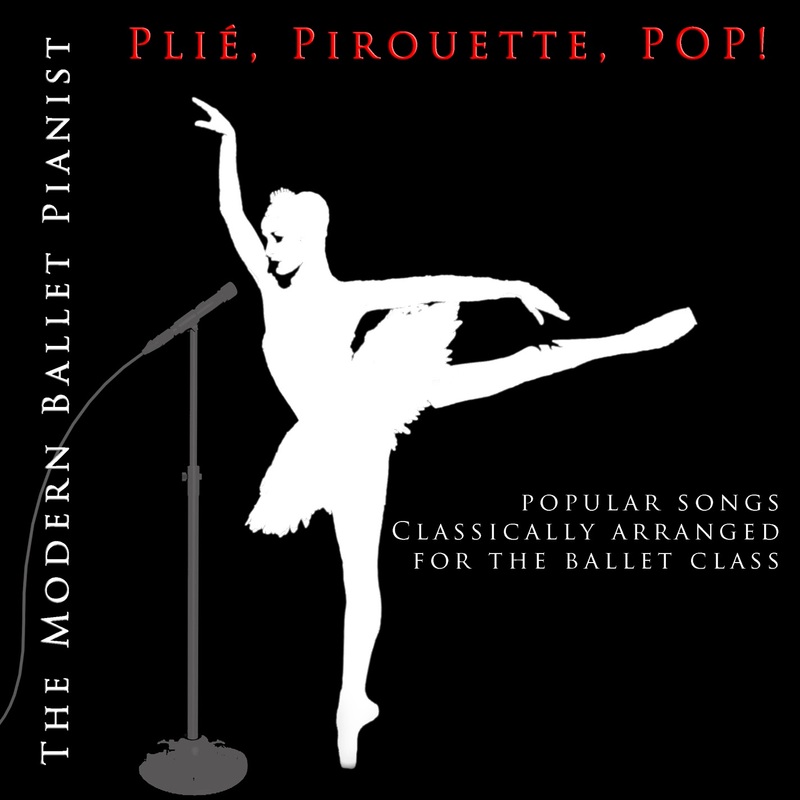 My company focuses on getting the attention of the next generation of dancers with current music, but remaining true to ballet’s classical roots with our classical arrangements. As a teacher and as a student I have been part of teacher/accompanist relationships where both parties would like to kick each other and those that are like the best of marriages. What's the secret to a teacher and accompanist working well together? The accompanist should respect that the teacher is in charge, and the teacher should respect that the music makes the dance. What is the best thing a teacher and or dancer has ever said to you about your playing? On my first day of accompanying Mark Morris, the company manager told me on break that “Mark didn’t come down and complain about you. That never happens.” Knowing that the “Mozart of modern dance” liked my music was pretty awesome. We worked together for years after that first day. Some pianists sound like they set mechanical hands on the keys and went out for coffee, while others sound truly inside the music. When you are playing for class, do you feel as though you are performing as well? I feel like I’m lucky to be making music for a living - and if I get bored, it’s my own fault for not bringing passion into the classroom! There are teachers who really prefer classical music, as opposed to classically styled music in class. How would you work with a teacher like that? I have a huge repertoire of classical music that I reserve for those teachers. Though I know I’m doing a great job when I can sneak in some Lady Gaga and make it sound like Chopin! You mention that you are working with other artists to produce all this wonderful class music. How does this collaboration/collective work both creatively and as a business? The albums I have out so far are all me playing, but I’m working with other artists to expand our sound and repertoire. This is making it possible for us to release albums on a monthly basis, so that our dancers never tire of our music! What would be hitting pay dirt for your new company? 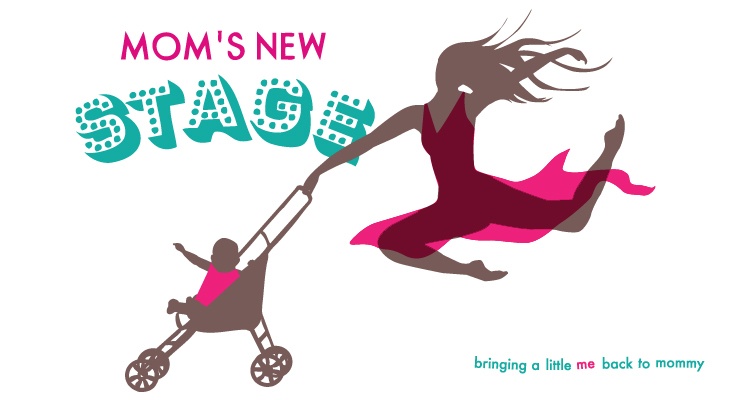 It would be so awesome to get picked up by every dance wear distributor! Your advice to musicians looking to play for ballet classes either as side income or as a career? Take the music that inspires you, and find a way to inspire the dancers you work with. Authentic inspiration is the most attractive thing in all of us! I know that after reading this interview and sampling these amazing CDs, you are as inspired as I am to get into a ballet class! The Modern Ballet Pianist, is without a doubt, as Dance Teacher Magazine says, "the next best thing to having a live accompanist in the room." Justine Leigh's soulful and dynamic CDs are PERFECT for dancers who want to practice at home, as well as ballet teachers, and studio owners. 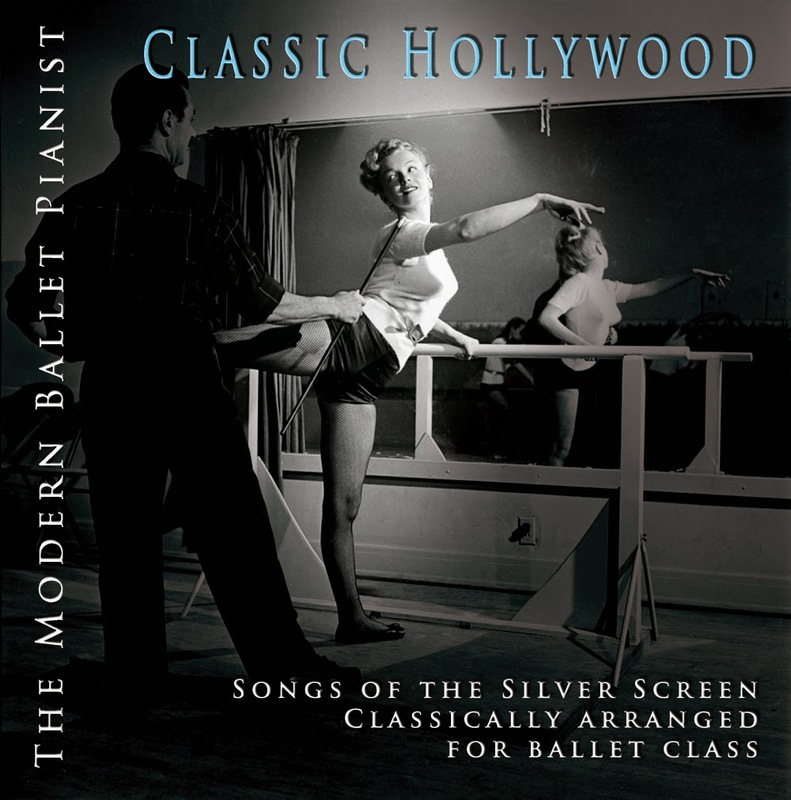 Even if you are not a dancer, do remember The Modern Ballet Pianist CDs as a fantastic gift for the dancer in your life. She or he will thank you a million times over!!! AND, I as mentioned at the top of the interview, Justine Leigh has agreed to give a package of the 3 CDs shown above to ONE LUCKY WINNER! All you have to do is enter the the Rafflecopter drawing below. Merde! Note: Giveaway open to residents of the continental U.S. only. HUGE fan of The Modern Ballet Pianist! Her work is amazing and thanks so much for sharing this giveaway, Keesha! My pleasure! So far all my dancer friends LOVE her! She is a genius! Very cool! My daughter just started ballet this year. I love the idea of a modern pianist! Great music really does make a class, no matter how old a dancer you are, or what level. How cool! I loved when Justine said, "I feel like I’m lucky to be making music for a living - and if I get bored, it’s my own fault for not bringing passion into the classroom!" I'm totally adopting this wonderful attitude towards my writing and life in general. What a blessing to get to do what we love!